Planning a wedding takes a lot of work. Many things get over looked. Often jewelery is one of them. Do not make the mistake of choosing your jewelery at the last minute. You want to ensure that you get quality pieces from a credible jeweler. There are many things to consider when choosing a jewelery store. You want to get the best quality matching you budget. There are a lot of stores in competition for your business, so it is important that you consider all options. This guide was created to give you the tips necessary to find the best jeweler for you! The first thing you should establish is a budget. It is easy to over spend when wedding planning, but sticking to your budget on jewelery will ensure you have the funds for the rest of your wedding. When it comes to wedding jewelery, keep it simple. The main focus is you and your dress. If you have a busy dress with lots of beading, a busy necklace probably isn’t for you. If you have a simple dress, you can accessorize more. Remember, less is always more when choosing wedding jewelery. When seeking a good jeweler ask around. Word of mouth is one of the most powerful tools you have. Ask friends, family or even co-workers about jewelers they have used. They will give you honest feed back. Search on-line, as you can find a list of reviews on jewelery stores, both good and bad. Start looking on-line at pieces of jewelery you like. Print them out and bring them to the jeweler to see if they have anything comparable. 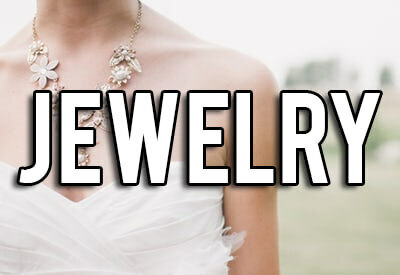 Go visit jewelery stores. The jeweler will show you an array of pieces in your budget. If the jeweler continuously attempts to get you to make a purchase outside you budget, do not even bother, move on. That proves they're strictly considering their own agenda and do not really care about helping you find what you are looking for. A good jeweler will only show you pieces you can afford and help you find what your looking for. A good jeweler can also help you match jewelery with your gown. Be sure that the jeweler is certified and established. The longer they have been in business, the more experience they will have. Before you decide to purchase compare prices with other stores. Ask about their warranty policies. Like any large purchase, you should always know the warranty details. Choosing a good jeweler may take some time. Do not rush. Go visit multiple stores. Stick to your budget and be sure that you are getting the best quality your budget allows. Remember your jewelery should never outshine your attire. Congratulations on your engagement, and enjoy your new bedazzles. Atlanta has many creditable jewelery stores for you to choose from go check them out!